A gleaming silver space ship descended from the sky and landed in a remote woodland, where Meier alone, had face to face exchange with a lovely blonde lady from the stars… She told him her name was ‘Semjase’ and that she came from the Pleiades! And yet despite this story’s innocent appeal, it has sparked an international firestorm of swirling controversy. Along with his claim of extraterrestrial contact, Meier shared a collection of the most spectacular UFO photographs ever produced, along with the claim that the Pleiadians actually posed their ships for him capture on film! Pictures this good could only be hoaxed! “Above everything stands one force alone. We call it the CREATION. It regulates the laws over all–the life and death of everything in the universe, because it is everything in the universe. Real spirituality comes from the understanding of the laws of nature—the natural working of cause and effect—each contributing to, and sharing with all. When you indulge in ritual and ceremony real spirit pines away until it is gone. A spiritually developed being, as a part of creation, acknowledges creation in all things, even the smallest microbe, and leading a creative life causes fears and doubts to vanish like rain before the sun…wisdom is the mark of a human who has recognized the existence of his spirit and works with it according to the Creational laws…”. Such was the wisdom of Semjase–gentle metaphysical homilies from across the galaxy–but was she imparting insights unique to her ‘Pleiadian’ culture or could such sage wisdom be discovered closer to home? 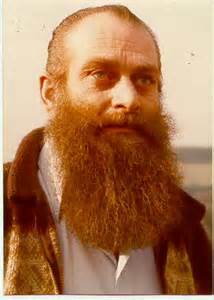 By the mid-1980’s Billy Meier’s notorious UFO contact case the had gained significant international attention. Even the word “Pleiadian” was becoming synonymous with, ‘spiritual enlightenment’, thanks in great measure, to yet another Hollywood Icon… Shirley MacLaine. With her controversial, best selling book, ‘Out On a Limb’ and its subsequent TV movie, Shirley shared her own deeply personal quest into Pleiadian philosophies. Through a ‘composite’ character named ‘David’, she is introduced to these ‘alien’ insights. On a shared visit to Peru, David confesses having actually met extraterrestrials, a revelation Shirley finds at first totally threatening to her own ideals and lifestyle…. In the book “Date With the Gods”, Silva recounts his chance encounter with a petite, enigmatic beauty calling herself “Rama” who was tooling the Peruvian back-roads on–of all things–a Los Angeles Police Department motorcycle! The unmistakable similarities between Charles Silva’s contact account and Shirley MacLaine’s ‘David’ character in “Out On A Limb” suggests a collaboration intended to further promote public awareness of the Pleiadian message. In 1992 Barbara Marciniak published an anthology of information, she claimed to have intuitively received from a collective consciousness also originating from the Pleiades. “Understand that you create your own reality and that every other person creates their reality. Everyone has the opportunity to wake up at any time. “Our technical potentials have exceeded our spiritual capacity of handling the information and we are now in a position where we can destroy ourselves and we don’t have the spiritual development to prevent it. Two extraordinary documentary films, “What the ‘Bleep’ Do We Know?” and “The Secret”, both reveal this dynamic human potential. These cutting-edge films feature professional doctors, physicists, psychologists, authors, philosophers, and theologians–none of whom claim to be extraterrestrial–who are all pioneering a new science and world view that encompasses and corroborates virtually all the insights shared by these multiple Pleiadian sources. Considering this, there can be NO fundamental difference between a being ‘alive’ in the Pleiades star cluster or a human ‘alive’ on planet Earth, or anywhere else in the cosmos for that matter–we are each individualized expressions of a single consciousness No matter where they exist, we are them–and they are us… and we all share the same unlimited potentials! Spiritual self-awareness is the key to liberation, but enlightenment is a tricky business, that’s why the Pleiadian armada does not land on the White House lawn– humanity doesn’t sufficiently recognize its own god-self to handle such a grand encounter. To be of genuine value this realization must come from the inside out! Awakening to our unlimited spiritual potential is the primary message. All views expressed herein regarding the Pleiadian information are solely my own as an independent researcher. I do not speak on behalf of any group or association. The ‘Semjase’ quotations shared in this essay are based upon the publications of the original Swiss contact case investigation team leader, Lt. Col. Wendelle Stevens, (Ret.). Genesis III Productions, Ltd. 1979. Bear & Company Publishing, 1992. Bridge of Love Publications, 2001.